Turmeric is often confused with and substituted for saffron, because not only does it have a very strong flavor, it also turns foods a golden yellow color. Turmeric is frequently misspelled as tumeric, omitting the first letter r. Learn about this pungent spice and how to use it in a variety of . Turmeric is botanically known as Curcuma longa, derived from the old Arabic name for the kurkum plant we know better as saffron. Yet this spice is a member of the ginger family and unrelated to saffron. 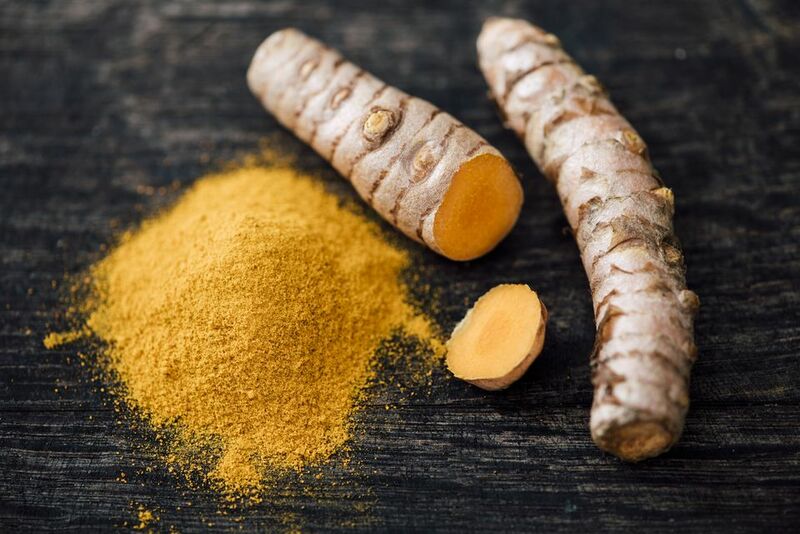 Like ginger, it is the root of the turmeric plant that is used as a spice, usually in a dried form. However, in some areas of the Far East, the fresh turmeric root is used and stored much like ginger. You might be able to find fresh turmeric in specialty Asian markets in the US. The root is generally peeled to expose its bright yellow flesh, then boiled, dried, and ground into a powder. Turmeric gives ball-park yellow mustard its bright color, is a prime ingredient in Worcestershire sauce, and is also used to color other foods such as butter, cheese, and fruit drinks. It is a favorite in Middle East and Asian foods and spice blends such as curry. Recent studies at St. John’s Medical College suggest that turmeric may have healing qualities. Curcumin molecules in turmeric attach themselves to cell membrane walls, stabilizing them and boosting their resistance to infection. However, the curcumin is quickly metabolized by the liver and intestional wall, limiting its efficacy, except when taken in conjunction with black pepper (which contains piperine). To take advantage of these purported healing properties of turmeric, it is suggested that black pepper also be added to recipes containing turmeric. Turmeric also aids in digestion problems, arthritis pain, menstrual pain, heartburn, gallstones, and stomach ulcers. Consult your physician before self-treating with any herb, spice, or other homeopathic remedy.